Lakeview Surgery Center is completely tobacco-free effective July 1, 2007. Our tobacco-free policy states that no one is allowed to use tobacco products in our buildings, vehicles, walkways and parking lots, including all grounds and facilities we own, maintain or lease. We believe becoming tobacco-free will greatly benefit the overall health of our patients, our workers and our community by reducing illness and the loss of life caused by using tobacco products. As healthcare provider, we strive to set the standard for healthy living in our community and our state. 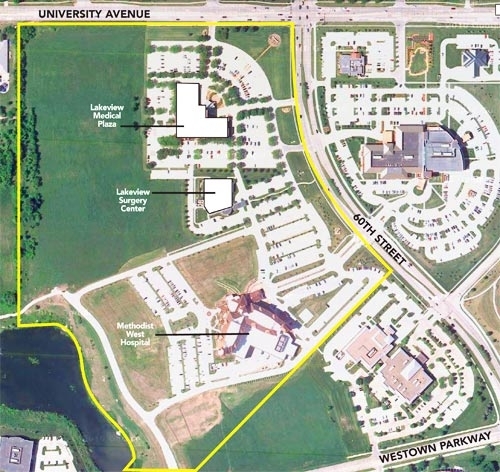 Please review the map outlining the tobacco-free boundaries on for our campus and surrounding Iowa Health System properties. A printable version of this map can be downloaded here. Use of tobacco is not permitted within the area defined by the yellow line.